P1 SuperStock is the next generation of motorsport. Racing that is affordable, equitable and exciting for racers and fans. P1 SuperStock has an international and national appeal, recognition and guaranteed media exposure (TV and print). Who wouldn’t want to be involved when the world is watching? I’ve been in a boat going 130mph, but nothing compares to the thrill ad skill of racing the P1 Panther at 70mph, deck to deck with 10 other race boats. This is what boat racing is all about. At the heart of the championship is the new P1 Panther race boat, designed, built and tested in the USA, the boat has been engineered by the best race engineers in the industry, and tested in the harshest conditions possible over 18 months. The venerable Mercury Racing 300XS outboard is the exclusive power for the 2017 P1 SuperStock USA Championship. The 300XS is a low emissions, 2-stroke engine, featuring a potent V-6 powerhead coupled to a robust mid-section fitted with a heavy-duty swivel clamp bracket assembly and race-proven Sport Master gearcase, is designed to endure the harsh offshore racing environment. Handcrafted-precision matched Mercury Racing Propellers will ensure that each boat realizes its maximum performance. Racing on water is completely different to racing on tarmac. The course is constantly changing beneath you, which makes for spectacularly close and unpredictable racing – the hallmarks of the P1 SuperStock Championship and the foundations of great motorsport. Due to the tight racecourses, intelligent boat design and commercial acumen of the P1 team, the race courses can be positioned close to shore, providing unparalleled spectator viewing and increased benefit for the racing teams, host cities and sponsors. 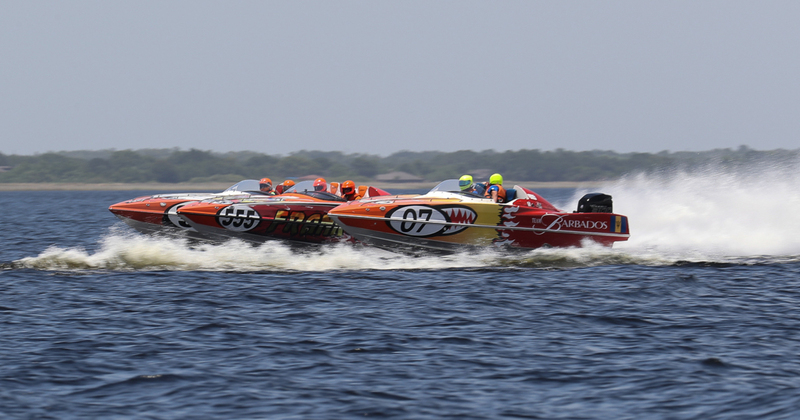 The races, which are either held over one or two days, include a significant prize purse and are all APBA sanctioned events.